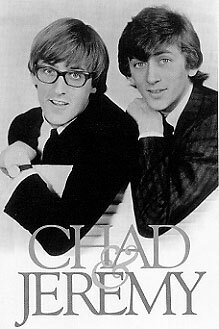 Renowned for their superb easy listening approach to classic pop in the wake of Beatlemania, Chad Stuart and Jeremy ClydeChad & Jeremyrecorded a number of innovative pop albums back in the mid 60s. With the 2006 reissues of I Dont Want To Lose You Baby and The Ark, Sundazed now has them all on CDcomplete with bonus tracks and great liner notes. Compared to the post Rubber Soul vibe of I Dont Want To Lose You Baby, the early 68 release of The Arkoriginally on Columbia Records, remains an excellent example of that psychedelic paisley pop sound popular during the era of Sgt. Peppers. C&Js final Columbia record, The Ark is also their most adventurous and satisfying. Featuring amazing songs written by C&J, coupled with Chad's adventurous arrangements and Gary Usher's skillful production, The Ark remains a timeless pop classic. Although he's been off the scene, hiding out in Idaho for the past 20 years, Chad Stuart is a living legend from the original British invasion of 1964, so it was with great respect that I introduced myself to Chad Stuart on the telephone for this rare interview. RS: Im a big Chad & Jeremy fan. 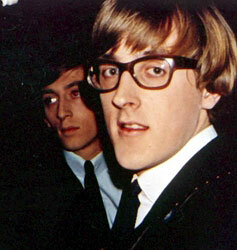 I use to watch you guys on Hullabaloo in the 60s and I had the early singles and stuff. I hear theres a Chad & Jeremy resurgence going on. RS: So why did you and Jeremy split? CS: There were probably two main reasons. Back then, before David Bowie, before Phil Collins, Columbia Records had this rather limited outlook. It was like, Oh, you want to be an actor? Well okay, were going to pull the plug on this one. Decades later, theres Bowie appearing on Broadway in The Elephant Man. It was silly. It was a shortsighted policy. A typical suit policy to say, Make up your mind. Are you going to be a singer or a you going to be an actor? What a stupid idea that was! So I blame Columbia to some extent for that. And then there were the inevitable growing pains and the insanity of the late sixties and there we were doing Cabbages And Kings and The Ark. Gary Usher and Curt Boettcher got into the picture and Jeremy got more and more frustrated because his idea of heaven was more like Eric Clapton and J.J. Cale. In other words he was seriously out of step with what was going on at the time which was the psychedelic extravaganza phase. Me, Id always been an arranger. That's where I thought my career was going at first. I started as a copyist at a music publishing company, copying charts for the in-house arrangers. 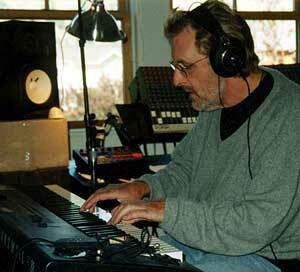 Then I wrangled an apprenticeship with an amazing arranger called Gordon Franks. He was a great teacher. He'd just throw projects at me and I learned by doing. At the same time, I was playing guitar and piano in various bands. I had a bit of a split personality going at the time. Big band arranging on the one hand and guitar playing and folk music on the other. 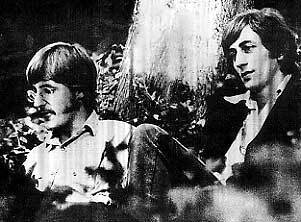 CS: Yeah, the whole pop thing was a serious side step for me; it wasn't big bands and it wasn't folk music, but being young and curious, I thought, why the hell not? The tradeoff was turning into some kind of pop star, which neither Jeremy nor I had bargained for. I kept on with the arranging during our fifteen minutes of fame and a lot of people found that side of me hard to believe. It was, What? Youre a pop singer. Youre not supposed to be doing this. Youre not supposed to have ink-stained fingers and lots of charts lying around. And not only that, but it put us out of step with the sort of classic rock band where nobody read music and nobody cared to read music. Certainly, nobody wrote it down; they played by ear and more power to em. Nowadays, with all the digital gear, I don't write anything down either. I record and I play and I've been teaching guitar, piano, bass, drums as a music teacher for the last decade or so, maybe longer, fifteen years now. Thats improved my chops no end. You know the old saying, if you want to learn more about something, teach it? So I really take delight in recording and playing. Occasionally, Ill write a chart if I have to, or if someone wants me to scribble down a top line for them. RS: I hear theres a new CD - Chad And Jeremy Then And Now. CS: That was an idea of Jeremys for a while, but I think its probably fallen between the cracks as an expensive idea which isnt going to happen. So what were going to issue, hopefully by next Spring, is an album called Live At The Liberty, which we recorded in January of this year at Bruce Willis theater here in Hailey, Idaho. We did that as a benefit to raise money for Habitat For Humanity in the Gulf states after the horrors of Katrina. The second album, (as yet untitled) is a studio album. A lot of people from our era re-record the hits, and with good reason. The prevalent idea is to make your new recording as close to the original as possible so that if it gets involved in a commercial or a film soundtrack and they use your version, youre likely to get paid. In our case, our first record company, Ember Records, never, ever paid us, so every time they license A Summer Song for a movie or a commercial, we never see a dime, so if we want to see any financial return for our recordings, the answer seems to be to re-record the hits. Okay, got that. Makes sense. But Jeremy and I have had a hard time buying into that concept. I mean, weve never enjoyed any revenue from the hits anyway since the bastards never paid us. So what appealed to us was going back and having a fresh look at the old songs, using our 2006 brain to reinterpret them. What this new album will reveal, is a mix of old and new, with the old revisited in a hopefully interesting way. RS: Theres so many excellent Chad & Jeremy songs. Theres a whole breadth of timeline material in there that definitely makes you different. CS: Timeline, I like that. That's a good way to go. So with the first studio album, were sort of obligated to to go back to the beginning and then the second studio album could be the Columbia years, and we'll do some of our favorite songs from Cabbages and The Ark. And we'll include some of the more memorable new material as well. Thanks Robert. Good idea! RS: There seemed to be a great chemistry between you and Gary Usher during The Ark. I call that period when Usher produced albums like Cabbages And Kings and The Ark the greatest period in 20th century music music history. CS: I think thats really interesting that you would say that. I would have to say that Gary wasnt a very musically gifted person, but what he did do was listen to you and give you the opportunity to run with an idea. Like a movie producer, he knew how to bring people together. People like Curt Boettcher or Keith Olsson. Keith was a serious talent. 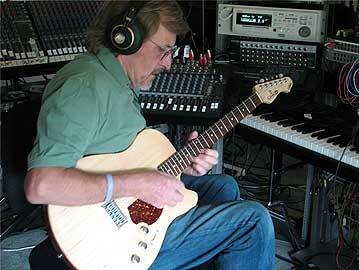 He was the techie who really knew how to use the effects processors to get things to sound the way they did. And of course he went on to produce Fleetwood Mac. RS: One of the surprises on The Ark was the guitar instrumental you made. CS: Yeah, Pantheistic Study For Guitar And Large Bird ! RS: Would you consider doing more instrumental stuff? CS: Absolutely. There's all sorts of things in the pipeline. But that little piece with the bamboo pipe and the guitar I remember with great affection because I was discovering open tunings, the same way David Crosby was, and he later passed on to Joni Mitchell. One of my favorites was John Fahey, God bless him, who made a career out of open tunings. But what makes that particular track special for me is that I was sitting in the studio on the floor and there was a wicker basket next to me with my eldest son Patrick (now a TV actor) asleep in it. He was just a baby and I recorded that with him asleep in the studio, which is kind of sweet. Its just a little personal memory. 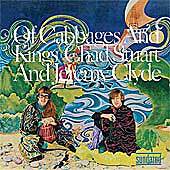 RS: I always loved Of Cabbages And Kings. RS: Now with the 2006 reissue of The Ark. Why did the reissue of The Ark take so long to resurface, if you dont mind the pun. CS: Right. Very good. The ark became a submarine! (laughter) None of this would have happened if it hadnt been for Bob Irwin at Sundazed. Bob got involved with Columbia and he did a series of albums. He was the only guy who was given the key to the Columbia vaults. They had him doing some sort of remixes. He did a compilation album of ours, Painted Dayglow Smile. That was Bob going into the vaults and digging out stuff. But then what he did, being a smart cookie, he got Sundazed going, kept his relationship with Columbia, which gave him a very privileged position. He was the only one who could go into the vaults and do all of that research. So I think he just worked his way through the catalog and finally he's arrived at The Ark. I must say Im glad it came out. Its a little puzzling that he put a picture from the very beginning of our career on the back. I mean from a collectors point of view, thats a no-no. Youre supposed to try to stay within the same time frame, arent you? RS: You mean on the CD label? CS: On the tray card. Its a bit strange. Hes got these two teenagers on the cover who quite patently had nothing to do with the creation of The Ark. We were probably what, nineteen at the time? I think hes getting his periods mixed up. RS: I call The Ark one of the great reissue discoveries of 2006. CS: I thank you. Over the years, Ive always told everyone thats the only album I can bear to listen to. I like that album.